“I’ve now been sending my cover letter as well along with my resume. Just like you suggested to me. But I am still not getting any interview calls. Is it the economy or me?” lamented my friend Tanya. I had suggested that to her because as per a survey, 87% of the employers were in favour of candidates including a cover letter in their job application. We can debate the actual number, but we can’t deny that a well written cover letter goes a long way in helping you stand out from rest of the applicants. I had already seen her resume, so I offered to proofread her cover letters. There you go. 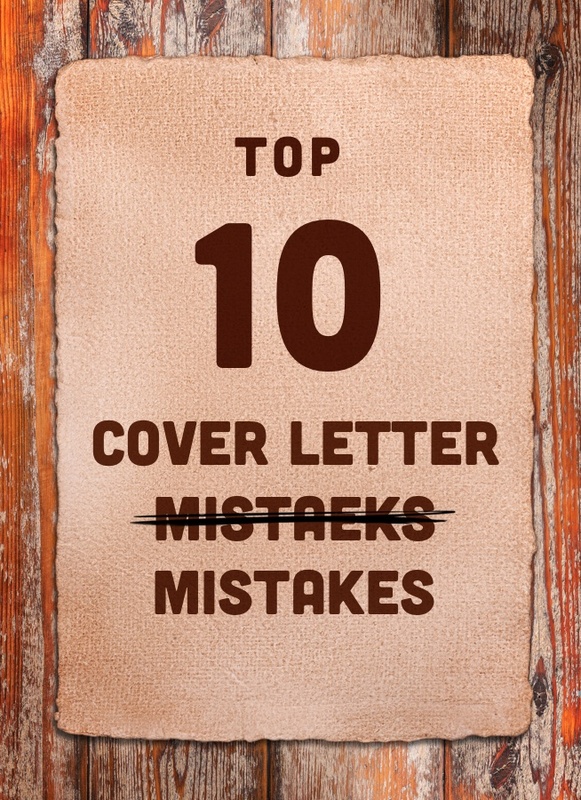 Probably the biggest mistake job seekers make with their ‘cover letter’ (pun intended). Cover letter is your elevator pitch to the hiring manager on why you are the best person for their particular job opening. If you get it right, you multiply your chances of getting an interview call. But if you make mistakes in it, you’ll be rejected probably without even getting a look at your resume. 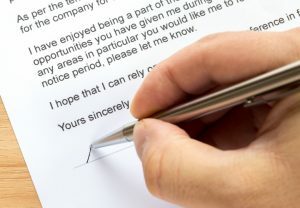 Let’s examine some of the most common cover letter mistakes, as well as some techniques you can use to avoid them when crafting your next letter. If you are sending the exact same cover letter to all the companies where you are applying, then STOP. In fact as per another survey, 48% of hiring managers say they will automatically dismiss a resume or cover letter that is not customized. You have to customize each letter based on the company and the specific position. For example, check out the following 2 cover letters created using Resumonk’s Bold & Collegium templates respectively. 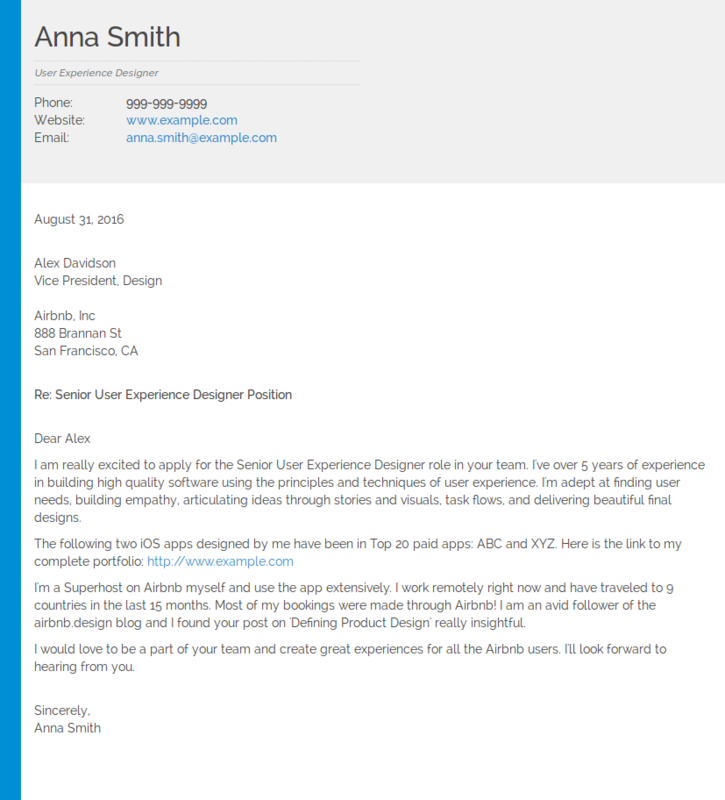 The person is applying for User Experience Designer position at Airbnb & Visual Designer role at Apple. Based on the job description and the company profile, she has customized her cover letters for both of them. Notice how she has highlighted her strong experience with the Airbnb app and mentioned a particular post on the airbnb.design blog as well. This shows the interviewer how well the applicant follows the company, and often this becomes the first talking point in the interview. You are already starting on a positive note and it sets the tone for rest of the interview. Put yourself in the shoes of the hiring manager. Whom would you call for an interview – a person who took the time to tell you how they are a good fit & how passionate they are for your company OR someone who just sent you a generic cookie-cutter cover letter? Nearly half of all hiring managers will instantly reject cover letters with spelling errors. Sending a cover letter with grammatical or spelling mistakes is an instant red flag. Apart from using your word processing software to identify these errors, you can also request someone else to proofread the document before sending it. Another common mistake is seen in the overall length of your cover letter. As per a survey, nearly 70% of employers want either a half page cover letter or ‘the shorter the better’ approach. Ideally, three or four paragraphs should be plenty enough for you to convince your prospective employer why you are a great fit for the particular job opening. Paragraph(s) 2-3: Write about your accomplishments & skills relevant to the job opening. Highlight a point about the company that shows you’ve done research about them or have been following them for a while. Closing Paragraph: Convey your enthusiasm in a professional way and indicate that you are looking forward to hearing from them. 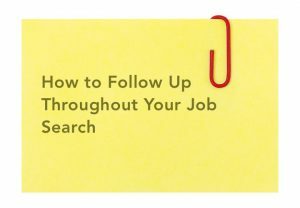 If you are an experienced job seeker, you might find it difficult to condense and summarize all your prior achievements into a single page. The issue is compounded when writing multiple cover letters that are meant for different positions, especially if each one is meant to highlight different skills and accomplishments. In that case, you can try writing various paragraphs into a third document that is separate from both your resume and cover letter. As you recall your past skills and achievements, immediately write a paragraph to highlight that accomplishment. When it comes time to write multiple cover letters, you can refer the most relevant paragraphs to the position at hand. Repetition works, but you should avoid bogging your cover letter down with the exact same information that has already been stated clearly on your resume. Avoid copying bullet points from your resume and pasting them directly in the cover letter. Instead, use a conversational tone and highlight specific reasons why you would be a great fit for this particular job. Don’t sound too casual, and talk as you would do in a professional environment. Will you ever send an invitation saying ‘To Whom It May Concern’? It sounds really impolite and often puts off people. If you don’t know the name of the person you are sending to whom you are sending the cover letter, just say ‘Dear Hiring Manager’. Do not state what you lack in a cover letter. e.g. “Although, I have no experience in …”. This is your sales pitch and you should talk about what skills you have and how you are best suited to this particular job. Don’t ever be negative in your cover letter about your current job (or your current boss). Don’t state them as reason as to why you are looking for a new job. You will surely get rejected if you make this particular mistake in your cover letter. If you are currently on a break or unemployed, do not mention the reason why you left your previous job in the cover letter. You can explain it when the interviewer asks you about it, but there is no need to bring it up in the cover letter itself. Do not get too personal in your cover letter by talking about your problems and hardships. You are looking to get this job on your merit and not by evoking any pitiful feeling in the hiring manager. In fact most people would reject such applicants. Also, avoid talking about religion or any such personal topics as well. One of the most obvious mistakes is also, unfortunately, one of the most common. Varying the format between your cover letter and the resume is both a sign of carelessness and disorganization. Not only does this cause your overall portfolio to appear disjointed, but it can even cause confusion amongst hiring managers and HR personnel. With that in mind, you should always take the time to match elements like font, margins and headings between both the cover letter and the resume. If your cover letter uses any special characters, such as bullet points, make sure they match, too. 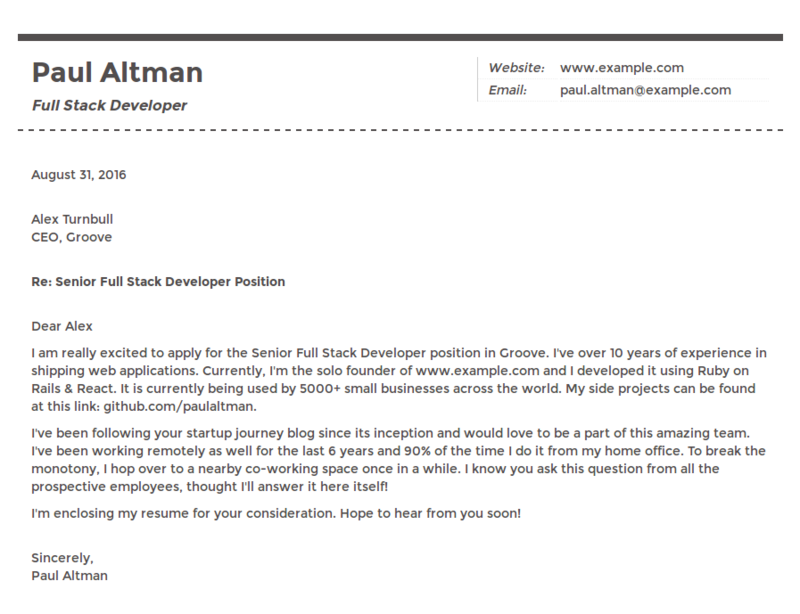 Or better, just use Resumonk to create a cover letter that exactly matches your resume format. 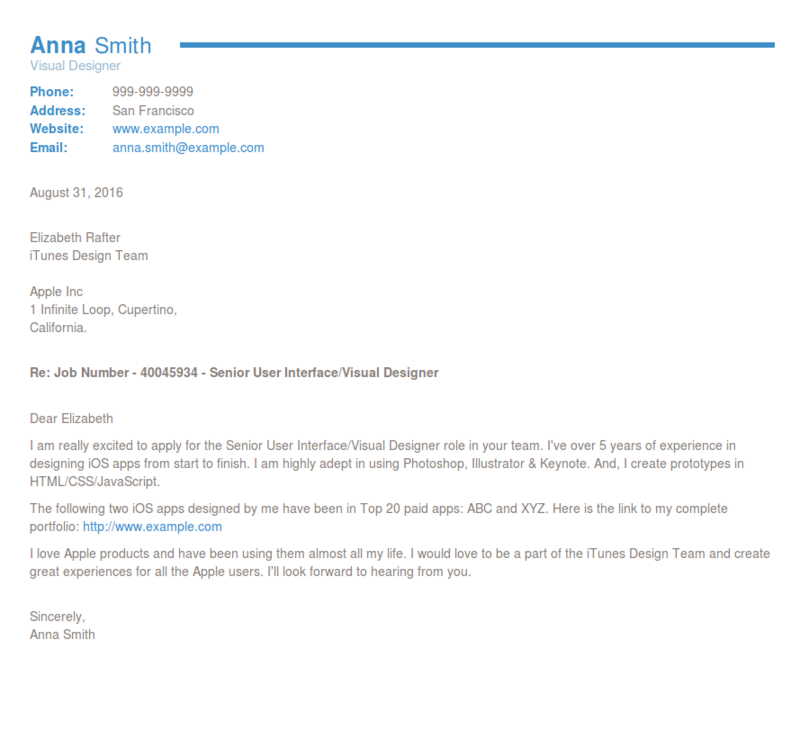 Check out these beautiful cover letter templates that exactly match the accompanying resume. Apart from showing off your diligence and professional organization, cover letters that share the format of their corresponding resumes create a sense of continuation between the two documents. This increases the readability of both documents while still getting your point across. You had me at ….. the cover letter. 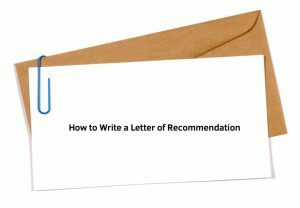 You can make a great first impression with a well written cover letter. Do not make any of the mistakes listed above and give yourself the best chance for landing your dream job. Are there any other common cover letter mistakes you’d like to share with us? Do let us know in the comments. This post was written in collaboration with Sarah Landrum, Founder of Punched Clocks. You evidently thought the first cover letter for Airbnb was good. The first thing I noticed was the grammatical errors. Any numbers less than 10 should be written out, unless they don’t teach that in the new two finger typing. I would have dismissed it for the grammar issues alone. In my book, this applicant would have definitely landed an interview call based on the content of her cover letter. But it just goes to show how important it is not to have ‘any’ grammar or spelling mistakes in the letter. Some hiring managers could reject her due to this error alone. Hi! Thanks so much for the excellent read. I completely agree with the points made in this article and I would also advise potential candidates to insist upon highlighting why they are the perfect fit for the job. This is the main reason why the cover letter exists and from this perspective I think their points should be as concise and to-the-point as possible.